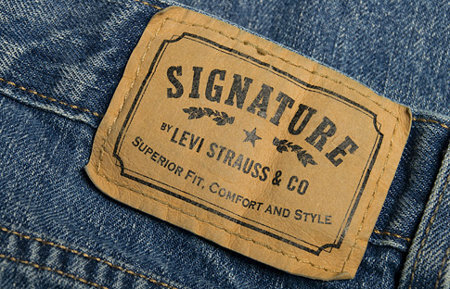 9 March - Jeans maker Levi Strauss & Co said on Tuesday that fourth-quarter net profit rose 28 percent, helped by strength in the company's U.S. Levi's retail business and improved wholesale sales in Europe. Despite the positive results during the holiday quarter, the economic recovery around the world was still "tenuous," said Chief Financial Officer Blake Jorgensen. "We're putting a lot of focus on Europe going forward and we're pleased we're starting to see growth coming back but we're very cautious," Jorgensen told Reuters. "The U.S. is tenuous and Europe is more likely to be tenuous for another year beyond the U.S."
The private company, which reports quarterly profit due to its publicly held debt, said that fourth-quarter net income was $86 million, up from $67 million in the year-earlier quarter. Revenue rose 7 percent to $1.29 billion, the San Francisco-based company said. The company has been focused on promoting its Levi's brand through advertising and company-owned store openings even as other more mature markets like Japan and Southern Europe have been in a protracted slump. In the Americas region, revenue rose 7 percent, while European revenue rose 4 percent, or 11 percent on a constant currency basis. Revenue rose 8 percent in Asia, or 3 percent excluding currency fluctuations. The U.S. business was also helped by improved performance at department stores by the Dockers brand, which has aimed to reinvent its fit and image to attract younger khaki-wearers. Dockers' "Wear the Pants" campaign debuted a little more than a year ago. "We've really brought more fashion into the mix in terms of slimmer styles without losing the original fit," said Jorgensen. Net debt of $1.59 billion was flat from the year-ago period, but the company's average cost of debt has dropped due to the paying down of higher rate debt, Jorgensen said.